It's been ages since I showed a Danish home. I don't know why as I absolutely lovely the Danish style and I'm lucky enough to live just over the bridge from Copenhagen - one of the coolest cities in the world (in my eyes anyway?)! 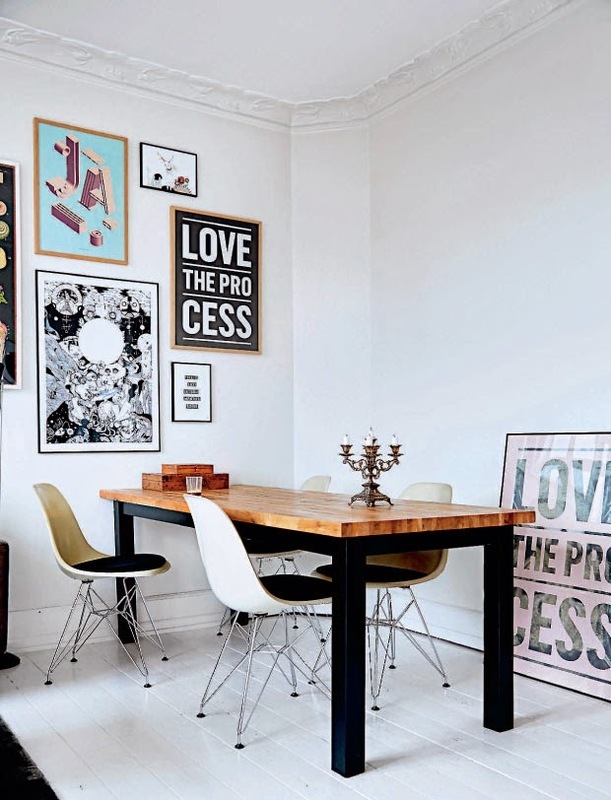 This three room apartment in the Nørrebro a cool quarter of the Danish capital belongs to Kathrine Højriis and Thomas Bærnholdt, owners of positive poster company I Love My Type. 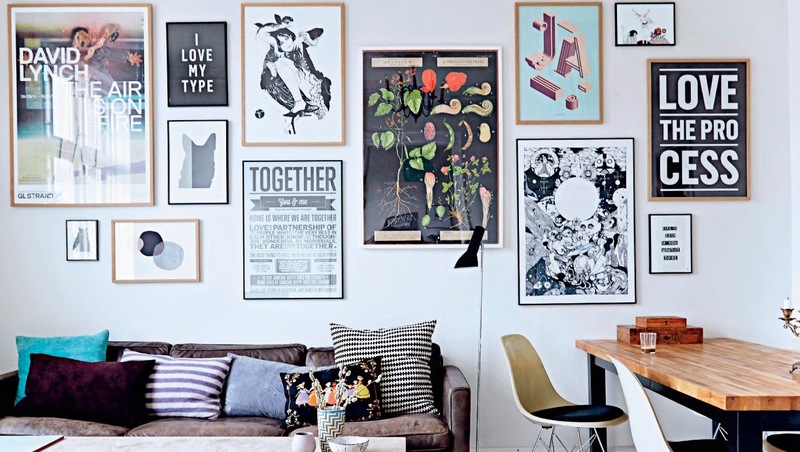 The furniture has been selected simply because they love it, and the walls are adorned with an array of wonderful prints including some of their own. Photographs: Birgitta Wolfgang Drejer. Femina. 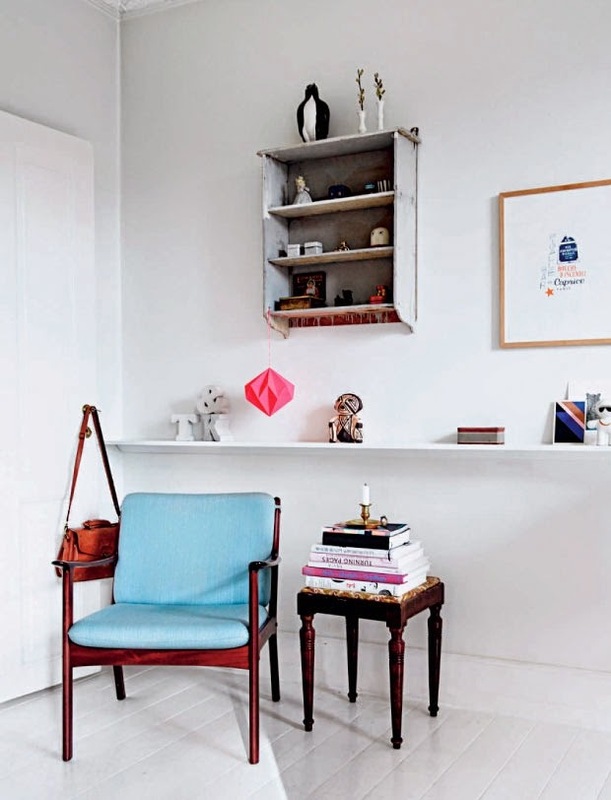 Thank you to Coco Lapine Design for the inspiration. Fabulous home don't you think? When I wrote to Kathrine yesterday to ask permission to show her home, Thomas answered straight away: ' I just told Kathrine about your mail and she's very happy that you want to share our home and says 'hello' from across our shared office desk'. I thought it was such a lovely reply - not only does it sound like a wonderful work environment but the response also represents the positive energy instilled in the ethos behind I Love My Type. The ILMT webshop is a self proclaimed- cool typographical poster universe with posters that will inspire you to make a different to others and benefit fully from what life has to offer. You can even get personalised posters made! I'm on it! Thank you Kathrine and Thomas for sharing your beautiful home. Other Danish apartments I absolutely love include the home of a Danish architect, a Danish oasis in Cannes and the home of a Danish stylist. if you do one thing this morning - pour yourself a latte and drool over these! Beautiful home, love it, thanks for sharing. 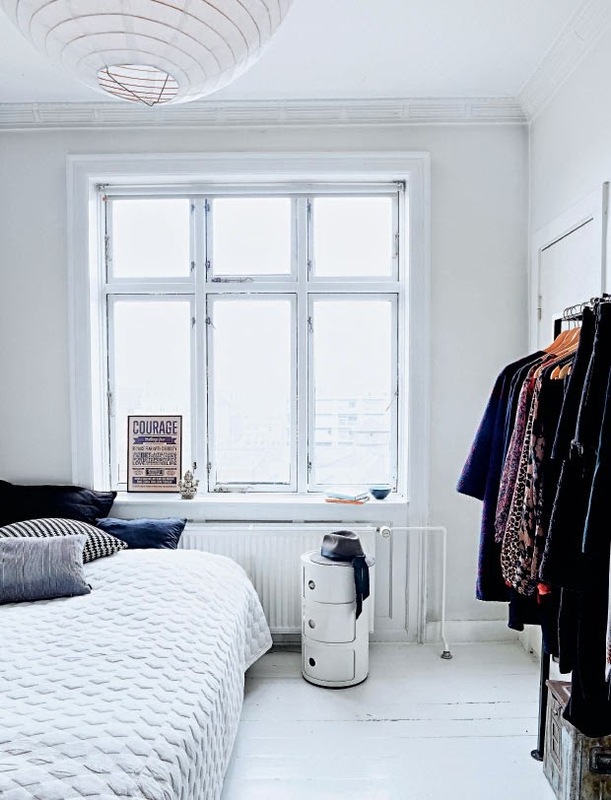 I love white interiors (walls and floor) as they are great base for decorative craziness :) This house is just awesome!